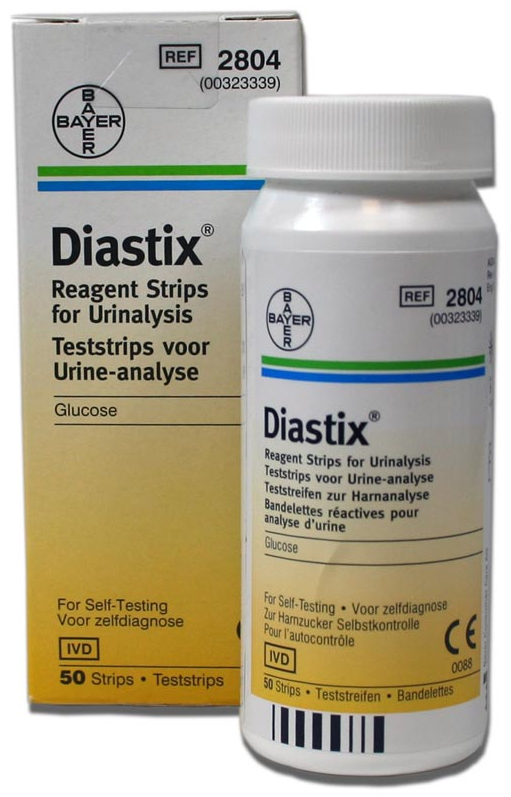 A range of reagent test strips for detecting and measuring glucose, ketone and other metabolites and urine parameters. The following table and guide shows what each of the products test for. 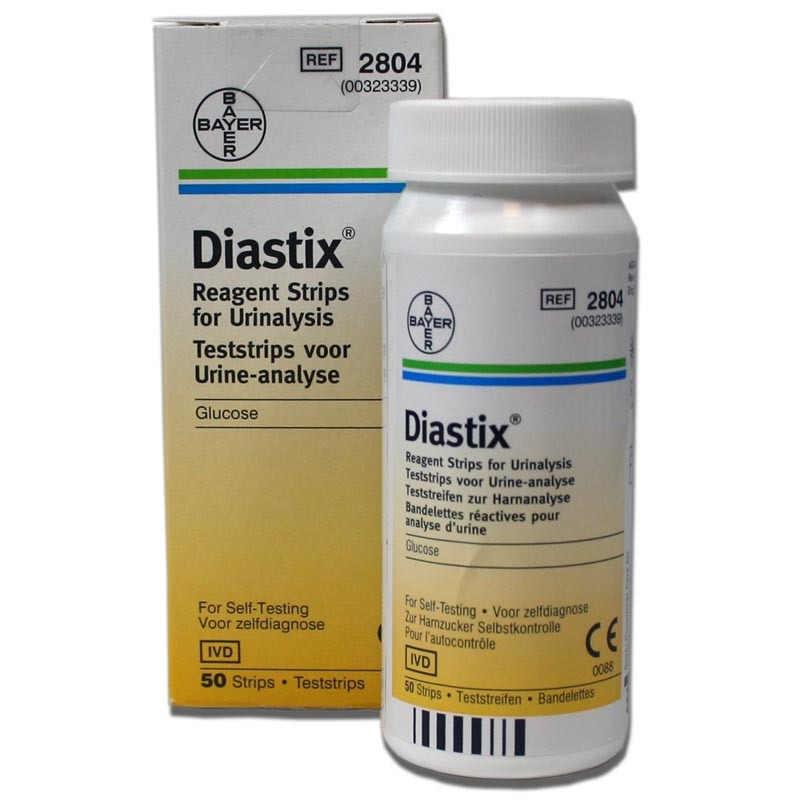 Below are some recent questions we've received regarding Bayer Urine Dipstick Tests, including answers from our team. I asked the question above and the vet kindly gave me great advice re my smelly collie...my collie has been brought up on raw food 80 per cent meat 20 per cent vegetable and fruit. He has been on raw since 8weeks old but I include supplements such as brewers Yeast, salmon oil and kelp. 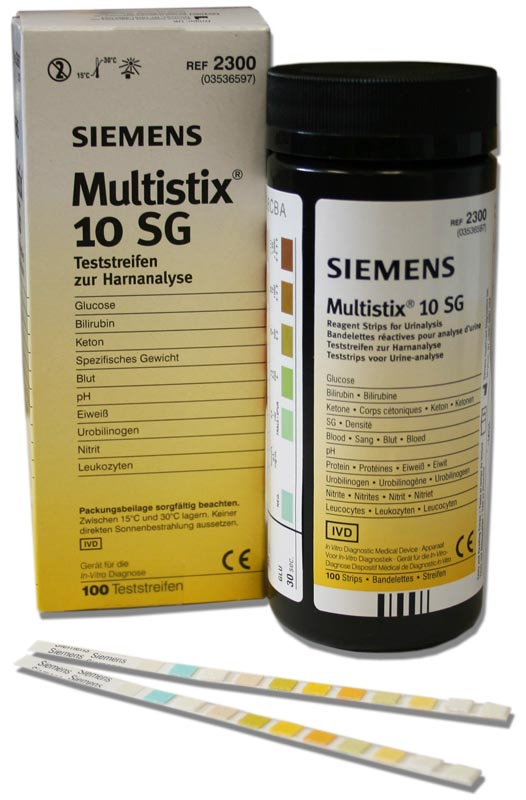 I appreciate the vets advice but if I were to keep an eye on the smell or any other issue what dip sticks is the one for me and how do I read the result..
Bayer Multistix 10 SG would be the best one to use. Instructions on how to use the strips come with them, but that part is easy enough. Interpreting the results is not so simple and obviously without suitable medical training (which requires a lot more than a couple of emails) you might not get much from them. However you can look up the reference ranges for dogs for the various parameters online and get some help by reading about the various results. There is a lot of information available if you feel like researching it. Otherwise, just ask your vet for help when you need it. My collie was at the vets as he smelled strongly of stale urine.they did a dip test which recorded 9 on alkaline and prescribed a course of anti biotic s. His urine does smell on his long coat underneath and I would like to purchase dip stick to test for infection or other issues. You can buy the dipstick tests off the website. They are not restricted at all. However it can be difficult to interpret the results and sometimes you will need veterinary help to provide any treatment anyway. The other thing I would say is that many male dogs produce quite smelly urine when they are perfectly well. It is natural for them. If they have a long coat and their conformation means that the urine collects on their hair, they will tend to smell of the urine. You can help by having these parts of his coat trimmed short, then using proprietary products to wash or de-odourise the coat. You might need to do this. 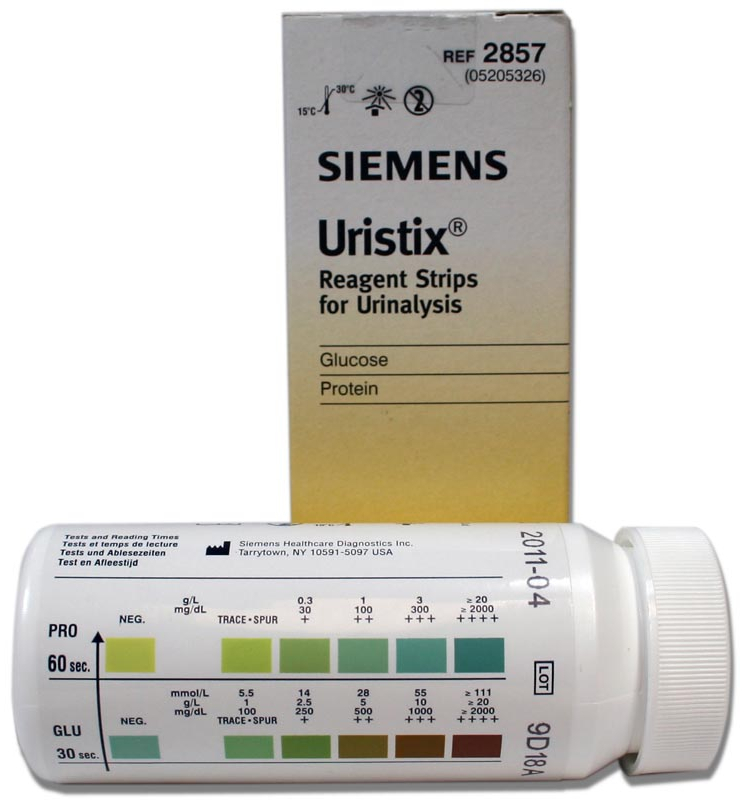 Also changing the diet can affect the pH of the urine, so alkaline urine is not always a sign of a urinary infection, especially on some commercial low-meat diets. 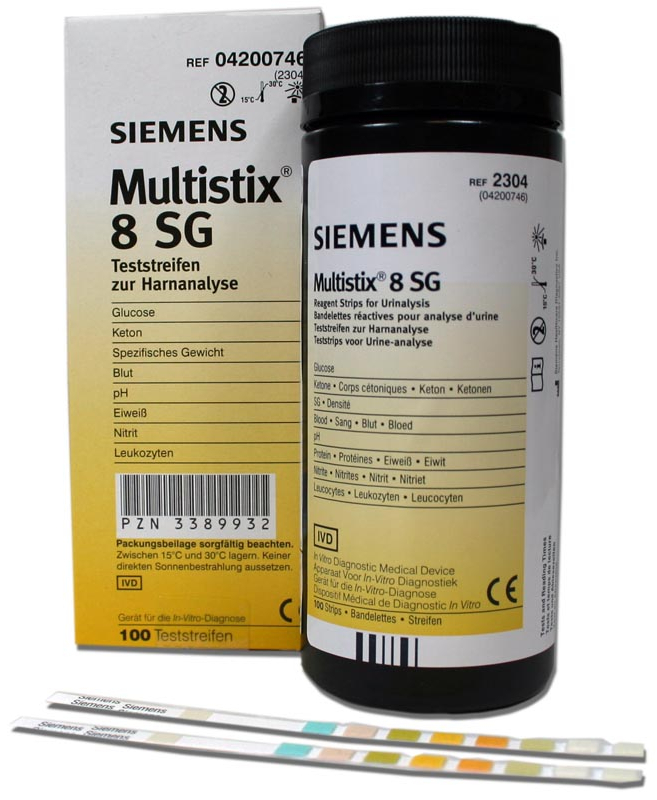 Can we use Multistix 8 SG Dipstick Test at home, or is there a need for a reading machine? 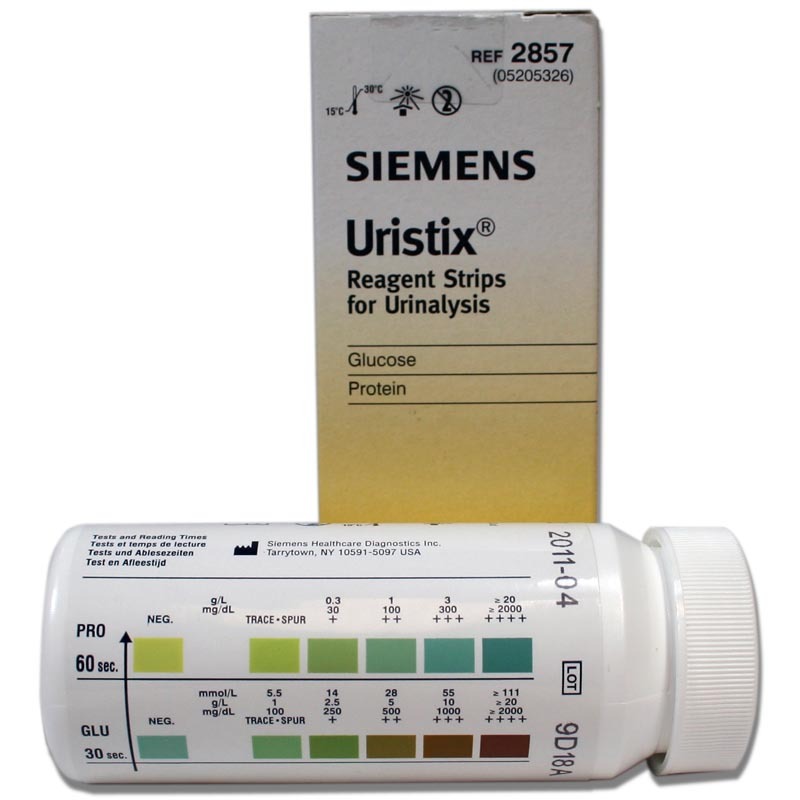 And what is the range measured for urine density (specific gravity)? 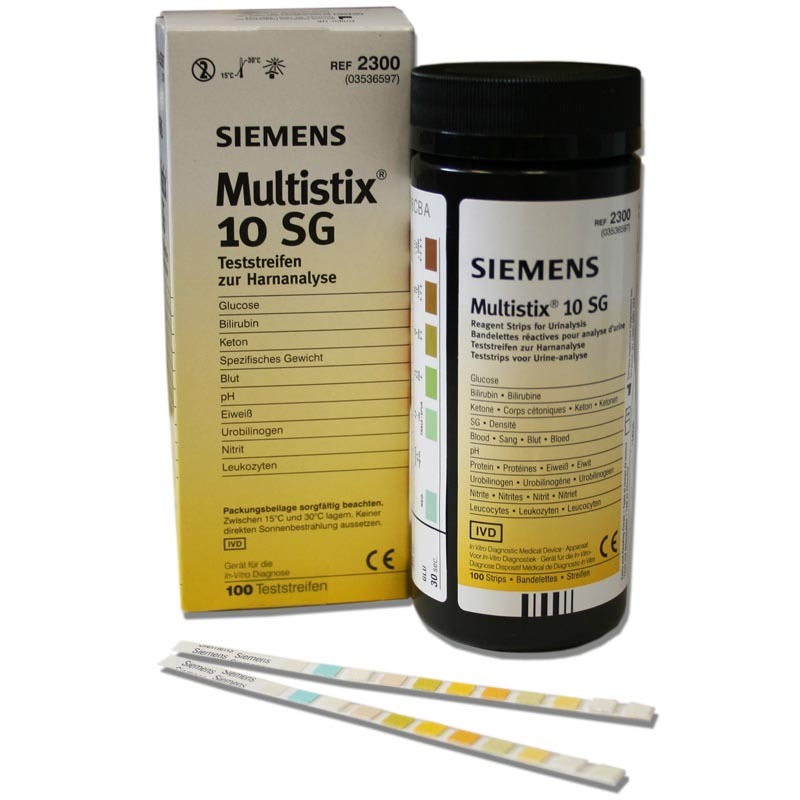 The Multistix 8SG can be used at home, the test determines the Specific Gravity in the range 1.000 - 1.030. 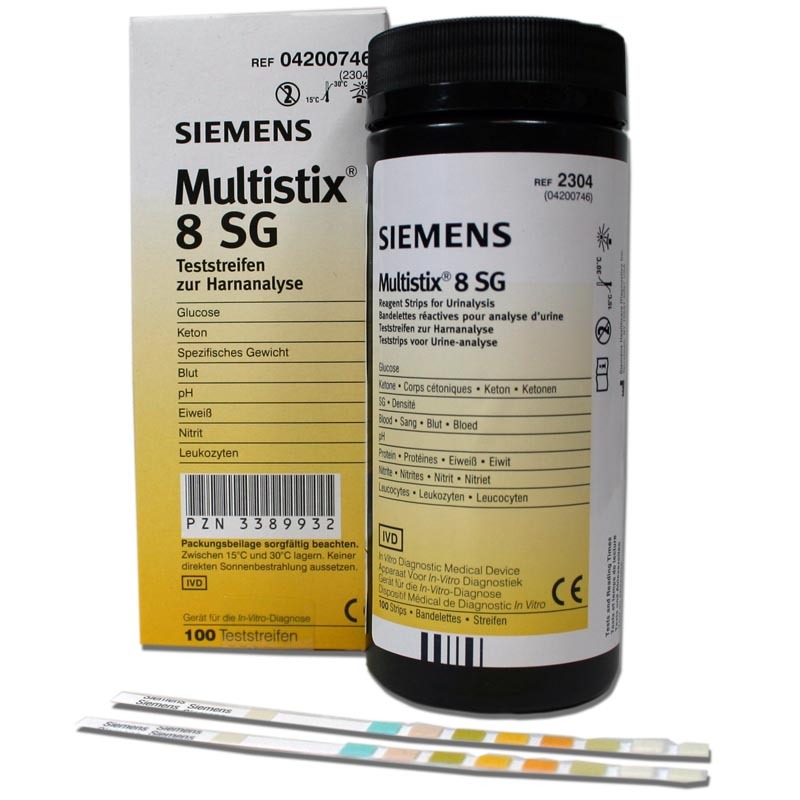 These stix tests can give a guide to kidney problems, urinary infections etc, but they are not nearly as simple as your question suggests. 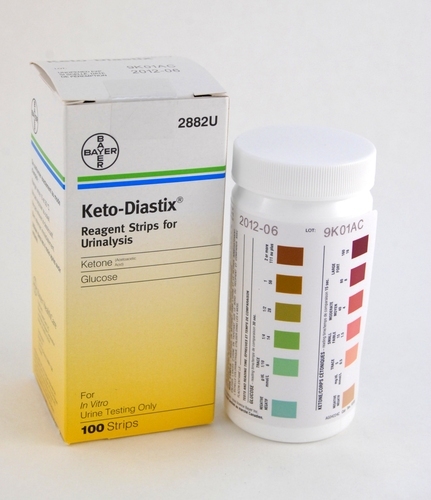 They test for certain substances and a medically trained person can use this, along with any other information they have available, to make a judgment of what the underlying cause might be. Unless you are medically qualified, they are unlikely to be very helpful to you.